GUATEMALA CITY (AP) — Archaeologists have found an "extraordinary" Mayan frieze richly decorated with images of deities and rulers and a long dedicatory inscription, the Guatemalan government said Wednesday. 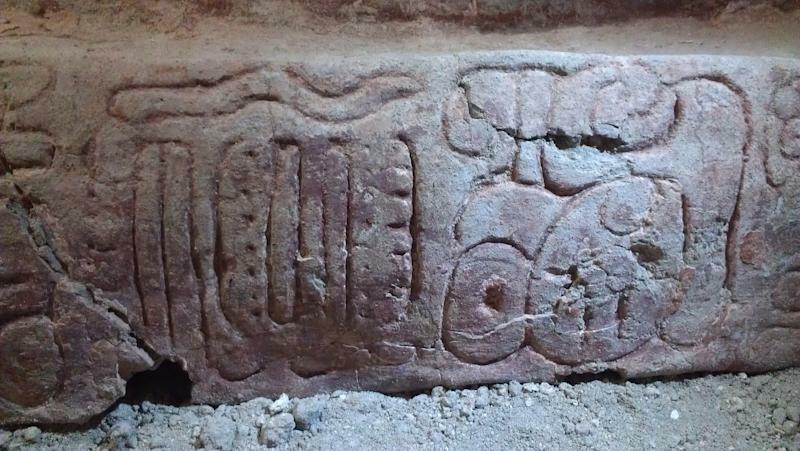 The frieze was discovered by Guatemalan archaeologist Francisco Estrada-Belli, a professor at Tulane University's Anthropology Department, and his team in the northern Province of Peten, the government said in a joint statement with Estrada-Belli. "This is an extraordinary finding that occurs only once in the life of an archaeologist," Estrada-Belli said. 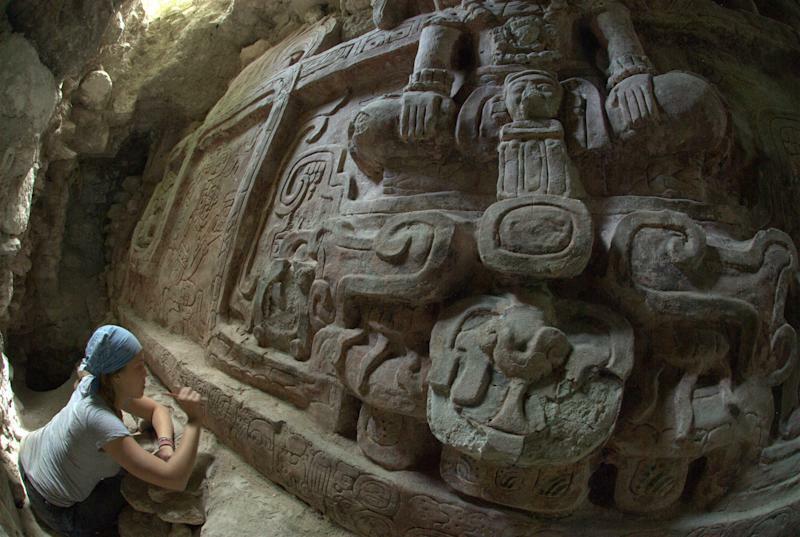 The archaeologists were exploring a Mayan pyramid that dates to A.D. 600 in an area that is home to other classic ruin sites when they came upon the frieze. "It's a great work of art that also gives us a lot of information on the role and significance of the building, which was the focus of our research," Estrada-Belli said. The high-relief stucco sculpture, which measures 26 feet by 6 feet (8 meters by 2 meters), includes three main characters wearing rich ornaments of quetzal feathers and jade sitting on the heads of monsters. The frieze, which was found in July, depicts the image of gods and godlike rulers and gives their names. The dedicatory inscription "opens a window on a very important phase in the history of the classical period," Estrada-Belli said. The inscription is composed of some 30 glyphs in a band that runs at the base of the structure. The text, which was difficult to read, was deciphered by Alex Tokovinine, an epigraphist at Harvard University and contributor to the research project at Holmul, the site where the frieze was found. Tokovinine said the building was commissioned by Ajwosaj, king of the neighboring city-state of Naranjo, and vassal of the powerful Kaanul dynasty, the statement said. David Stuart, an expert in Mayan epigraphy at the University of Texas at Austin, called Tokovinine's reading of the text "excellent." But while the government statement called it "the most spectacular frieze seen to date," Stuart was cautious about using superlatives. "It's really impressive," Stuart said in an email to The Associated Press. But he added, "I certainly wouldn't say this is the 'most spectacular' temple facade." "There are other buildings in Maya archaeology that are just as magnificent, if not more so," Stuart wrote, pointing out the temple called "Rosalila" at Copan, Honduras, and a building excavated starting last year at the ruins of Xultun, Guatemala, which has not yet been uncovered in full. Also Wednesday, Guatemalan President Otto Perez Molina presented the National Geographic Society with the Order of the Quetzal, Guatemala's highest award, for their research on the Mayan civilization. Perez Molina thanked National Geographic for its support and said the society has "put on high the cultural heritage of the Mayan civilization." Estrada-Belli is a National Geographic Explorer. His excavations at Holmul were supported by the Ministry of Culture and Sports of Guatemala and funded by the National Geographic Society and other Guatemalan and foreign institutions.